With longer days and warmer nights, summer is a perfect time to wind down, relax and focus on you. But let’s be real, with sugary drinks, brunches and BBQs around every corner, making wellness a priority can seem impossible. It’s hard to say no to the sweet treats and yes to yoga, or choose water over that mimosa. At Movemeant, we recognize that life is all about balance and we’re all about taking simple steps toward a healthier lifestyle, without sacrificing the season’s sweet indulgences. Making healthy choices does not have to mean skipping out on the good times. Here are some tips for how you can stay healthy, have fun and “beat the heat” this summer. Hydration is key when temperatures soar, but some of our favorite summer drinks are loaded with added sugar. But fear not, you can still enjoy those summer sips without the extra calories. Delicious drink recipes from SPLENDA® can help you stay balanced and quench your thirst all summer long. Try whipping up this guilt-free, 100-cal spritzer next time you’re craving a sweet pick-me-up. Serving size: Approx. 8 fl. oz. ADD all ingredients except seltzer and garnish to a cocktail shaker. POUR pomegranate mixture into serving glass of your choice. ADD seltzer and mix gently to combine. …without missing out on some of your favorite summer treats. Summer is sweet, and your food can be too. Swapping sugar for SPLENDA® Naturals Stevia Sweetener in some of your fav seasonal recipes is a simple way to enjoy the sweet things in life, without the added calories. Don’t believe us? 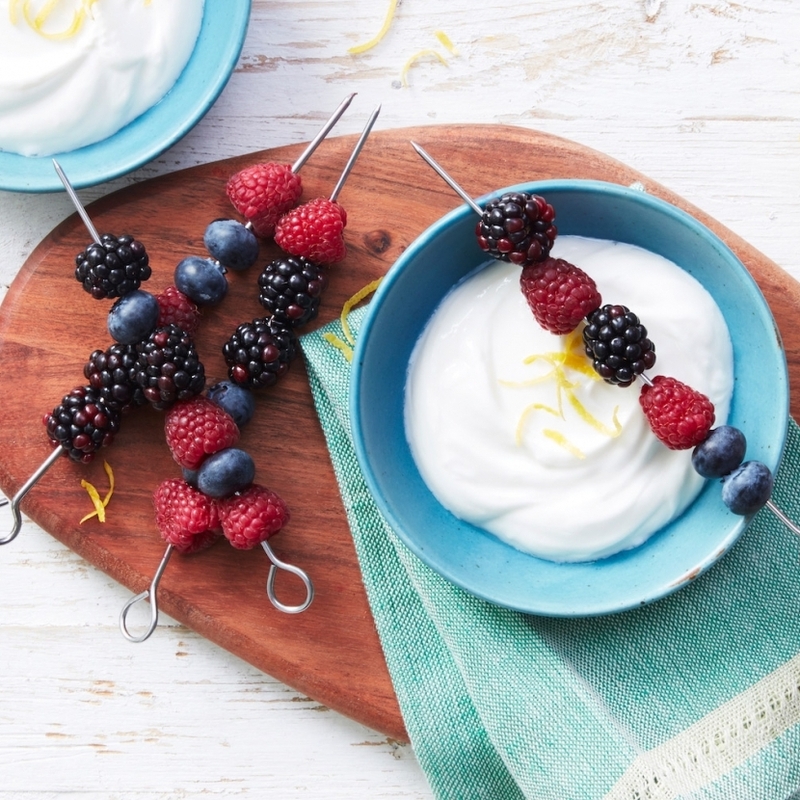 Try these fun berry kabobs for your next brunch or BBQ. MIX dip ingredients together until smooth. SKEWER berries to make two kabobs. Serve each kabob with 1/4 cup yogurt dip. These simple steps make it easy (and fun) to stay hydrated, balanced and healthy this summer and it’s totally worth it!